Profile: The new student recreation center facility was completed in 2015. Moody Nolan worked in association with Smith and Company Architects for this new 92,000 sq. ft. recreation center that surrounds the existing natatorium and connects to the William "Billy" Nicks Field House. The student recreation center is a two-story facility with generous glazing to animate the west end of the campus core. 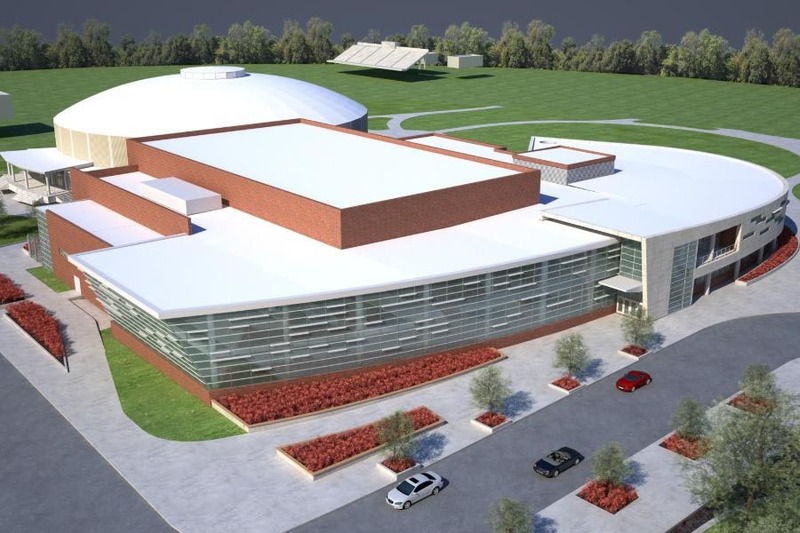 The center will include wellness programming facilities, three-court basketball gym and elevated running track, weight training and fitness room. The center is also base for Student Affairs, who utilize the office and meeting spaces. Advanced AudioVisual enhances the 300-SF conference room and 500-SF training/presentation room and allows for flat-panel displays, projection screens and distributed audio throughout.